Eight New Beauty and the Beast Photos Debut! 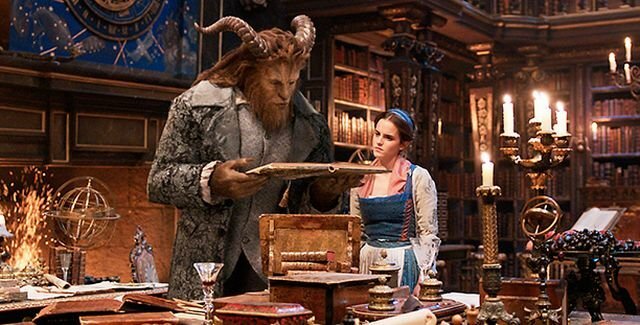 Following their cover reveal earlier today, EW has debuted eight new Beauty and the Beast photos from the upcoming live-action film from Walt Disney Pictures. Be our guest and check them out in the gallery below! Beauty and the Beast stars Emma Watson as Belle, Dan Stevens as Beast, Ian McKellen as Cogsworth, Luke Evans as Gaston, Josh Gad as LeFou, Kevin Kline as Maurice (Belle’s father), Emma Thompson as Mrs. Potts, Gugu Mbatha-Raw as Plumette, the feather duster, Ewan McGregor as Lumiere, and Stanley Tucci as a grand piano named Cadenza. Bill Condon is directing Beauty and the Beast from a script by Stephen Chbosky, and the film will be produced by Mandeville Films’ David Hoberman and Todd Lieberman. Eight-time Oscar winner Alan Menken, who won two Academy Awards for the 1991 animated classic, has written three new songs for the production with Sir Tim Rice. Walt Disney Pictures will release the movie on March 17, 2017.